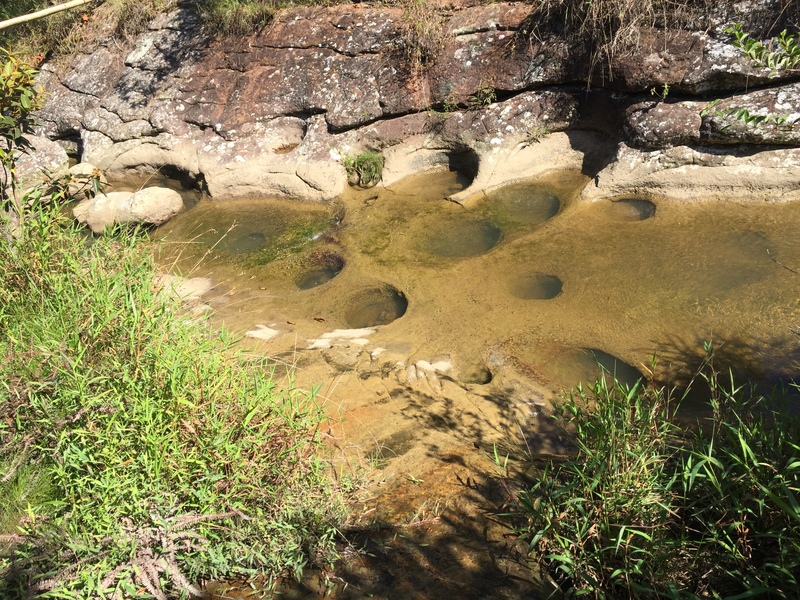 gauchas river holes | It's not a slow car, it's a fast house! Those are potholes! Carved by eddies in a small initial depression, they enlarge by entraining sand and pebbles in the rotating water that, over time, widen and deepen the hole by abrasion. Very cool. Feel free to share the explanation.